Having even one rental property can be more time consuming than anticipated. The demands can overwhelm you at times, especially if you have multiple tenants. You may find yourself taking calls 24/7 with an endless to-do list. If your goal is to continue to add properties to your holdings your work will only increase. 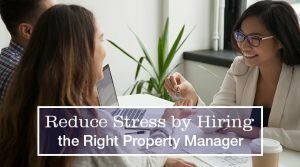 Work smart and reduce stress by hiring the right property manager. All Brevard Property Management helps clients manage repairs, communicate with tenants, and take care of daily property management activities. Here are six resources to help you hire the right Brevard County property manager or property management company. 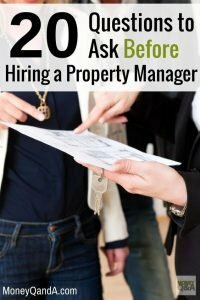 Wondering what to ask a property manager? These questions will help you determine the cost involved and understand the level of commitment you need. Still not convinced? 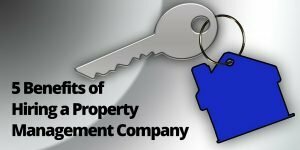 Here are five more reasons why hiring a property management company in Brevard County is the next right step for your business. Learn what to do and what to avoid when managing your property so you can hire someone with the same approach. What if you have multiple qualified candidates? Learn more detailed information about your property management candidates! Hiring a property manager can lighten your workload, but do you also know that they can help prevent legal issues by understanding the local and state tenant laws? Brevard County property management goes beyond building maintenance. It includes finding good tenants, marketing the property, and managing payments from tenants. When you are ready to hire a property manager for your Brevard County, FL properties contact All Brevard Property Management. We specialize in both residential rental properties as well as commercial rental properties. Contact us today to learn more. There are countless lessons to learn with investing, regardless of how long you have been a Florida real estate investor. Some lessons are more painful and financially devastating than others, but many are preventable. The experts from All Brevard Property Management are here to share their knowledge about commercial investments. 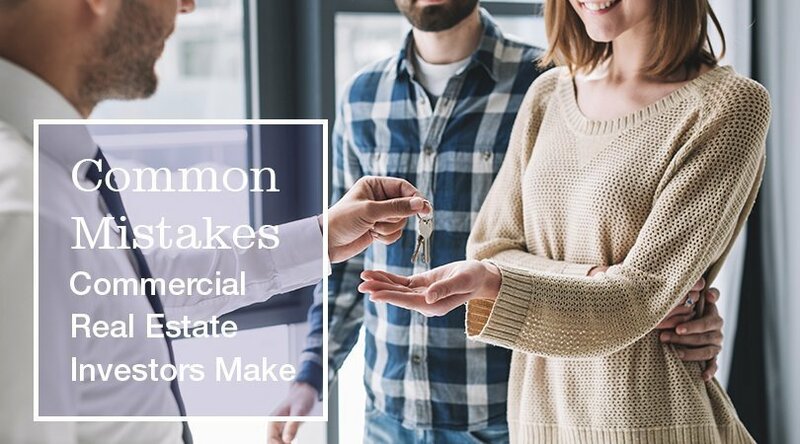 Here are three common mistakes that commercial real estate investors make to avoid. A property may seem nice on the outside and even cosmetically throughout the home, but don’t sign on the dotted line until you do more research. It’s important to hire an inspector to walk through the home and look at the HVAC system, foundation, windows, doors, roof, plumbing, and electrical systems. These are the areas where you can’t see potential problems on the surface. They need an expert eye. These hidden issues are also often the most costly to upgrade and bring up to code. Are you eager to save money? Don’t try to achieve this by trying to manage multiple properties on your own. Some updates you will likely complete yourself, but there are still a number of daily tasks for a property manager to handle. A property manager will make sure all parties comply with the lease agreement and ensure someone is available to handle requests and meet with vendors. Investing as a group of real estate investors has huge benefits. You have more resources to pool together and more people to divide out the responsibilities. Problems arise when investors do not take the time to define clear responsibilities and expectations for all parties. Who is in charge of ongoing maintenance? Paying taxes? Collecting rent? Sign a contract up front to avoid huge headaches and potential legal issues later. At All Brevard Property Management, we specialize in property management services throughout Brevard County, FL. We are available to manage both residential and commercial properties on Florida’s Space Coast. Give us a call to speak with one of our full-time property managers and learn more. When deciding whether to purchase an investment property, it is important to weigh the responsibilities involved. As a property owner, you are responsible for property upkeep, paying taxes, and dealing with tenants. Perhaps this is what you envision or maybe you plan on hiring someone to handle this for you. 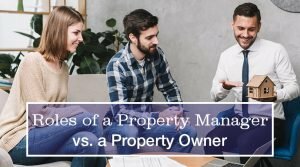 Let’s take a close look at the roles of a property manager versus a property owner from the experts in Brevard County. A property manager handles a lengthy list of the day-to-day responsibilities of the properties owned by someone else. This often includes handling tenants , such as renters in an apartment complex. Managers also collect rent, take care of repairs and maintenance, manage the budget, keep accurate records, and pay bills associated with the property. A property manager is responsible to make sure the building spaces are occupied and rent is collected on time. Here is a list of common repairs property managers have to deal with. Sometimes a property owner hires a manager to oversee all their properties, including vacant ones. Other times, individual property managers supervise each property, such as with a large apartment complex. By law, there are responsibilities that property owners must take care of, including keeping a property in safe order and paying taxes. The property owner is responsible for covering the cost of repairs, but the property manager often oversees the work. Some property owners like to be involved in the daily operations, while others entrust everything to the property manager. 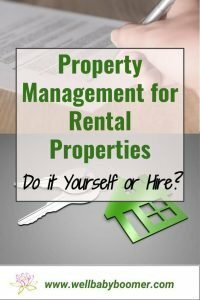 Can a property owner also be the property manager? Yes, it’s possible, but there are some aspects to consider before taking on the role. As the owner, can you be available at all hours of the day and night for emergencies or maintenance requests? Do you have the time to adequately take care of the number of units and properties you own? Is there a backup person who is available to step in when you go on vacation or have other responsibilities to attend to? 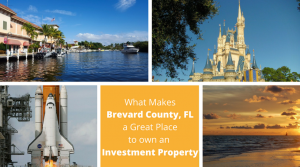 As you consider purchasing an investment property in Brevard, FL it’s also important to consider whether you will take on the responsibilities of managing your property or hire someone else for day to day management. All Brevard Property Management specializes in property management. We will lease your property for you, providing owner representation while keeping you advised on property changes, maintain and repair the property as well as perform other property management duties. To learn more contact us to schedule an appointment. Finding the right space for your business can be a massive undertaking. There are many details to consider including the size, location, and cost of your potential office or storefront. Once you’ve finally found the perfect location, you shouldn’t have to worry whether the property manager will treat you fairly. Unfortunately, not all experiences with property managers are the same. A tense situation can add unnecessary stress. A property manager’s job includes making sure repairs are completed promptly and the building stays up to code. They will keep your information confidential and look out for your best interest. 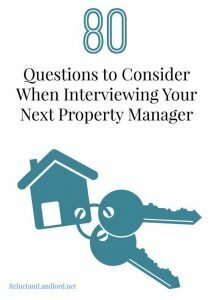 When trying to determine if you will be working with an ethical property manager, there are several questions you can ask in addition to requesting references. 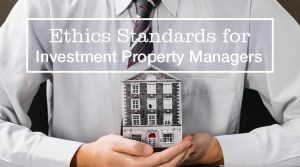 The National Association of Residential Property Managers (NARPM) has outlined a clear code of ethics for property managers. We’re highlighting several sections below to help further explain the roles and boundaries expected of all property managers. In addition to keeping the property maintained, a property manager is a primary communicator between the landlord and tenant. You might wonder who the property manager will advocate for if a difference of opinion develops. The NARPM is clear that a Realtor’s code of ethics extends to all real-estate related roles including managing a property. This means that an ethical real estate agent will treat all parties honestly even though their obligation is first to their client. You can always trust communications you receive are truthful and accurate. An ethical property manager will uphold the law as it applies to confidentiality. This confidentiality will continue after the business relationship ends. The NARPM ethics code highlights two ways confidentiality applies. First, a client’s confidential information cannot be disclosed. Secondly, the client’s confidential information cannot be used against them to the client’s disadvantage. Confidentiality does not extend to conceal a criminal act or when compelled by a court. 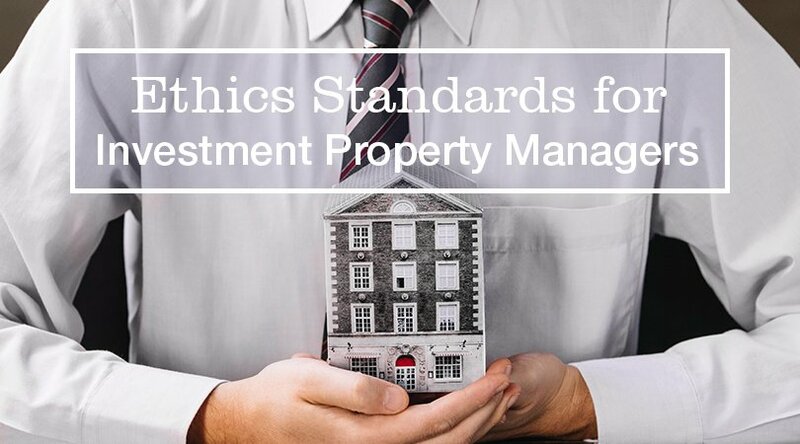 An ethical property manager will protect the finances of the properties to the best of their ability. This does not mean they will meet the financial difference for an unpaid bill. You can expect that money is reserved for upkeep and repairs as needed and that a paper trail recording rental payments are easily obtainable. Another aspect of the code of ethics states that a property manager will ensure that all parties understand the contract presented. You should expect that all your questions regarding your lease are answered before you are asked to sign. One of the best ways to ensure you are partnering with an ethical property manager is to choose a corporation established in your area with an excellent reputation. Since 1996, All Brevard Property Management has been representing commercial and residential property managers and tenants with fair and ethical property management services. Contact us to learn more about our services and how our experienced property management team can help you. Being a landlord is an important responsibility. Whether your rental properties are occupied or vacant, it’s possible the home or commercial building you own will require an emergency repair at some point. Even if you are lucky enough to avoid emergency repairs, however, there are also maintenance issues that will routinely need your attention. Whether you choose to complete repairs and maintenance yourself or hire someone else to do the work, having an idea of the different problems that might come up with your properties will help you estimate how much money to set aside to pay for materials or labor. A lease condition for your rental properties might include that your tenants are responsible for taking care of basic yard maintenance, but it’s ultimately the landlord’s responsibility to maintain habitable properties. The most common exterior issues arise with roofs, landscaping and pest control. Roofs have a long lifespan, but eventually a replacement is needed even with a superbly maintained exterior. In Florida, roof and gutter damage also develops from hurricane debris or fungus and mold overgrowth. If your property is unoccupied it is especially important to tend to the landscaping. Keeping the exterior of a home looking its best will help attract renters, and it will also keep the neighbors happy. The easiest way to maintain a rental property’s landscaping is to keep things simple. Mosquitoes, termites and bed bugs are all pests that are more than annoying. Terminates can harm your property, and mosquitoes and bed bugs pose health risks to tenants. While the responsibility lays with the tenant to keep pests away, once an infestation occurs you may need to step in and make sure you eliminate the pests. Normal wear and tear on a rental property should be expected, especially with long-term tenants. When a tenant moves out it’s common to have to repaint walls or replace carpet which has exceeded its lifespan. There are other interior repairs that may not come up as often, but if left unattended will be expensive to fix. Occasionally a wall will need more than a fresh coat of paint. Drywall patching requires several steps with time for the materials to dry between step, but it isn’t a large expense. If a tenant or former tenant creates a hole in the wall, it’s their responsibility to pay for the repair. 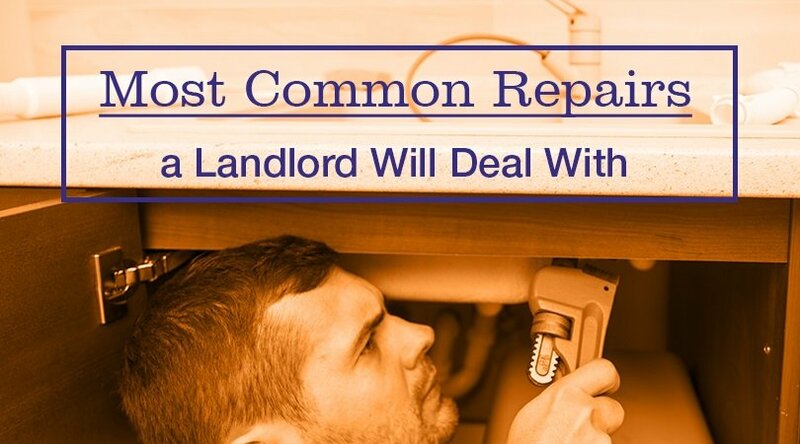 However, as a landlord, if they have moved out you will still need to address the repair. Depending on the lease you agree to it may be the tenant’s responsibility to provide appliances. If this is the case, as a landlord you still need to make sure the outlets and/or gas line are up to code and working properly. If the lease includes appliances and something breaks it is your responsibility to repair or replace the broken item. Older homes may require you to update electrical wiring or outlets to comply with local rental property laws. A property that has up to date electrical wiring can still develop a problem. A faulty outlet or accidentally overloading an outlet can cause a short leading to a necessary repair. Similarly to roofs, HVAC systems and water heaters eventually require replacement or part repair. As a landlord you may want to consider an HVAC maintenance plan for your rental properties to help ensure the units last as long as possible. This is an unavoidable cost if you expect to own the rental property for a long time, so putting away a little money each month for this larger expense is a good idea. Clogged pipes or toilets are generally the tenant’s responsibility, but a larger issue that requires a plumber often falls to the landlord to fix. 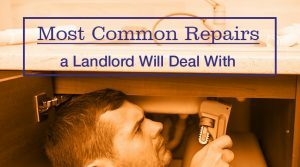 Additionally, sewer issues, as well as leaky faucets or pipes, are things a landlord needs to address. The right rental property company can make all the difference when it comes to dealing with common property repairs. At All Brevard Property, we specialize in Brevard County, FL rental properties. Whether commercial or residential, we will maintain and repair your properties saving you money and time. Contact us to learn more about our services. The housing market has yet to recover from 2008’s big crash, and it’s leaving many homeowners in the lurch when they are looking to sell their houses and move on. When your home has been on the market forever with no progress towards a sale, the idea of renting it out becomes very appealing. While renting out your home isn’t a terrible idea, it’s not something to take lightly. It isn’t as simple as putting an ad on the internet and collecting the money. Here are a few things you should know before you begin renting out your home. You should never just rent your home out to the first person who shows interest. Make sure you screen potential tenants by having them fill out an application and performing a background check. It may be a bit more work up front but trust us; it will save you a lot of work in the long run. You need to be realistic when deciding how much you should charge for rent. Start by researching other properties in the area to find out how much they are charging. Rent prices in your area may end up being lower than what you’d like, but if you don’t set rent at a fair market price, then you’ll never find a tenant. Even with great tenants and an airtight lease agreement things can sour. Maybe your otherwise excellent tenant loses their job and can’t make rent payments for several months. The point is that you should be prepared to put your foot down if your tenant is not living up to their side of the agreement. Sometimes this is your only option for resolving an issue. Experience is paramount to success in the real estate market. By partnering with a property management company, you greatly increase the odds that you will achieve your goals. At All Brevard Property Management, we give our clients individualized property management services. Our years of experience in the local real estate market will ensure that you get the most out of your rental property. Contact us to learn more about our property management services. 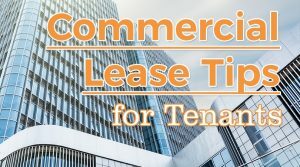 Getting the right terms on your commercial lease is very important, as this is something you could be stuck with for many years.When renting from a good landlord, the terms of a lease will protect both parties. But how do you know you are in the right contract for your commercial property needs? 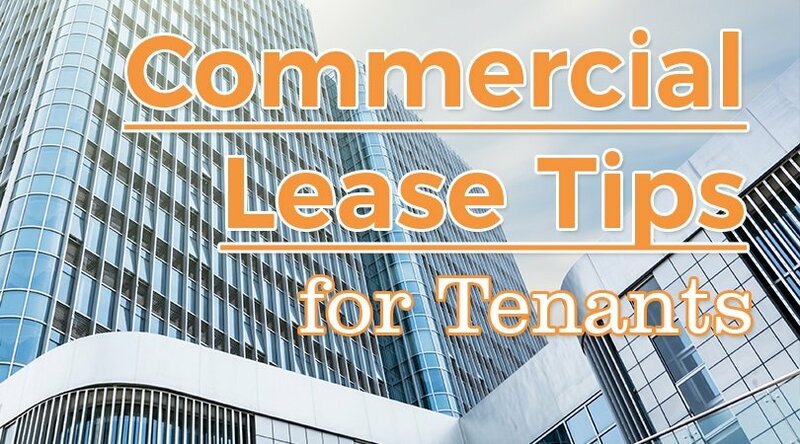 Here are a few tips for tenants looking to lease commercial property. Before you settle on a lease, it’s important to have an idea in mind of the length you want. Is this a permanent move? Is your choice temporary while you search for a better location? If you don’t plan on staying there long, you should negotiate a shorter lease of one to two years. If on the other hand, your business is very dependent upon being the right location (for example, a restaurant) you would want to negotiate a longer lease, perhaps five to ten years. The cost of rent is one of the most important considerations when it comes to looking for a commercial lease. Think of signing a lease as a negotiation, the more you know about similar properties in the area, the better equipped you are to negotiate favorable terms for your lease. If you are aware that other similar properties in the area rent at a certain price, you can use this to counter landlords who are looking to get more than the fair market value. This research can be time-consuming and require an in-depth knowledge of the local commercial real estate market, which leads us into our final tip. Negotiating a commercial lease is not something you have to do alone. When you are in the process of growing and expanding your business the last thing you want to do is be bogged down with small details and time-consuming research. A property manager with experience in the commercial real estate market will know how to find suitable properties and negotiate a lease that is in your best interest, freeing you up to focus on the important work of growing your business. When renting commercial property, you will interact with the property manager more than the owner. If there are repairs to be made or negotiations, later on, having a good relationship with the property manager will be substantial. At All Brevard Property Management, we are the right size to be able to give our clients individualized property management services. We will leverage our years of experience in the local Space Coast property market to get you the lease you want. Please contact us to learn more about our property management services in Brevard County, Florida, and how we can help you grow your business to new heights. Finding a place to rent can be a hassle. Just when you think you’ve found the right place something comes up and it’s back to the drawing board. 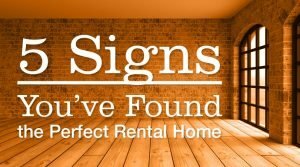 So what are some signs that you’ve finally found the perfect rental home for you and your family? The location of your rental is key. The one thing you can never change about a home is its location. If you want a clean, safe neighborhood where your children can play outside without worry then don’t settle for less. A rental property in a safe neighborhood doesn’t have to break the bank and the wait will be worth it. You’ll benefit greatly from the peace of mind. If a landlord is pressuring you to sign something immediately that’s a bad sign. It could mean they’re trying to hide something big and hoping you won’t notice it until the deal is done, it could mean they’re impatient and insensitive, or it could mean they desperately need the money. Whatever it is one thing is certain: that’s not the kind of person you want to rent from. Pay close attention to the state of the home when looking at rental properties and make sure everything is in working order. If the landlord isn’t taking care of his property now, can you really trust him to do it once you move in? If you find a home that’s clean and well maintained, even when no one is living there, then odds are you’ve found a landlord who really cares about his tenants and his property. A landlord who has been around the block is usually going to be easier to deal with. 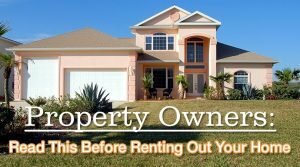 Someone who is just dipping their toes into renting or thinks it’s just a way to make a quick buck is probably going to end up causing you some headaches down the line. Moving into a new place can be a big change so if you’ve found a place that your kids immediately love, you know you’ve got something special. You’re all in this together and it’s important that everyone is happy. At All Brevard Property Management, we know how important it is to find the perfect rental home. We’ve been representing both property owners and tenants for over 20 years. Contact us today to take one more step towards finding the rental home of your dreams in Brevard County, FL. Wondering if Brevard County, Florida is the right place for your family? Check out our post on why it’s a great place for investment properties here. You’ll find these same reasons make it a wonderful place to live. There are a few decisions to be made with residential property management. Finding just the right tenants for your property can sometimes be a difficult task. One question that many owners face is whether or not they should allow pets. Allowing pets can attract a wider group of potential tenants. 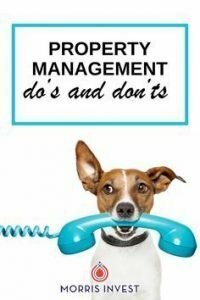 There are a few risks that come with allowing pets, but there are also steps your property management team can take to minimize potential issues. It’s important to take a survey of each property first. Determine what kind of pet is appropriate for each property. If you have a large yard with a fence, a dog will be safe and contained. However, if the property has a small outdoor area or a yard with no fence, allowing a cat may be a better option. You’ll also want to consider the amount of carpet in the home or apartment. Obviously, tile and wood floors are better for removing evidence of the presence of pets, but claws can scratch some wood floors. Another important consideration should be the neighbors of your property. In an effort to be considerate to neighbors, you will want to make sure that a quiet environment is maintained. 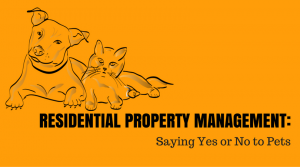 Including a pet policy and pet deposit in the rental agreement is essential for effective property management. The policy should outline the expectations of both parties and assign responsibility. Most commonly, this agreement gives the pet owner the responsibility for any costs that are related to the pet. You may want to place a limit on the number of pets allowed. Also, this agreement may include conditions that need to be met upon vacating the property such as a thorough cleaning of carpets and upholstery. You may want to consider taking pictures of the property before renters move in. If there is a dispute regarding whether or not damage occurred while the pet was occupying the property, these photos can be used for reference. 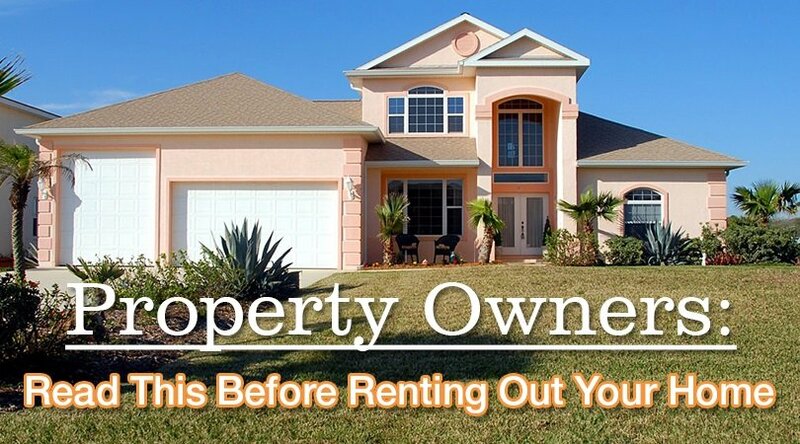 If you are feeling unsure about renting your property on your own, a property management company can assist you. 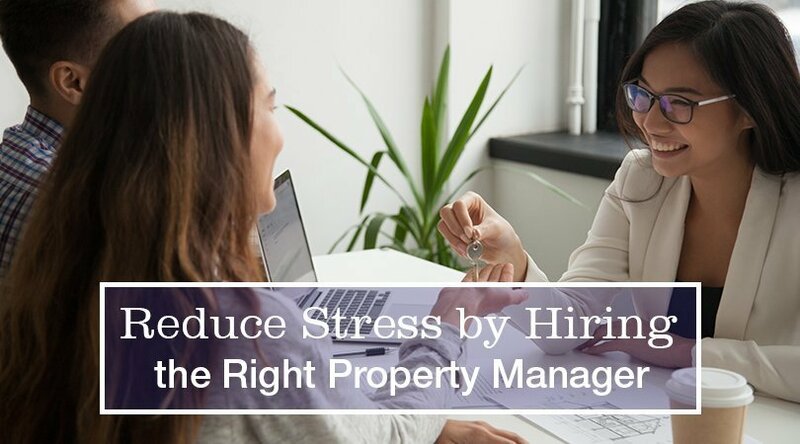 A professional property management agency will have the skills and knowledge to help both owners and tenants meet their goals. That includes creating a rental agreement with a pet policy. When it comes to property management on the Space Coast of Florida, look no further than All Brevard Property Management. If you’re in need of real estate or property management services in Brevard County, including Merritt Island, Rockledge, Melbourne, Suntree, Viera, Palm Bay, Satellite Beach, Indialantic and Melbourne Beach, we have you covered.